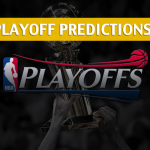 The 2019 NBA Playoffs are finally here. From 30 teams, the league have whittled down the field to only 16, from which only one will be left standing when everything is said and done. 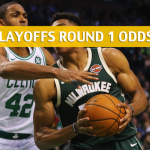 Let’s take a look at some of the most intriguing teams heading into what should be another exhilarating NBA postseason, along with odds and important tips for bettors. While plenty of teams have improved their rosters and plays on the court over the season, the Warriors don’t seem to be bothered by it all. They still are the best team in the NBA right now, even if they didn’t finish the regular season with the best record. The Warriors had a 57-25 record, but one could make an argument that it’s partly because the team has merely gotten tired of winning in the regular season. They should be able to turn it up in the playoffs, where they are very much capable of sweeping their way into another NBA title. With a starting five that features three All-Stars in Kevin Durant, Stephen Curry, Klay Thompson and two former All-Stars in Draymond Green an DeMarcus Cousins, the Warriors are going to be feared in the playoffs. The Warriors weren’t able to get the best record in the regular season \ this time because of the existence of the Bucks, who went 60-22. With Giannis Antetokounmpo transforming himself into a legitimate MVP contender, the Bucks have become a menacing force in the post-LeBron James Eastern Conference. But the Bucks go beyond Antetokounmpo. They play as a team, resulting in a sturdy defense that ranked first in the regular season in terms of opponents’ field goal percentage (43.3). They have floor-stretching bigs in Nikola Mirotic, Ersan Ilyasova, and Brook Lopez, who’s also a terrific option at the post. 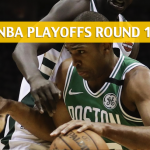 The Celtics were supposed to take everything to the next level a season after reaching the Eastern Conference Finals Game 7 without Kyrie Irving and Gordon Hayward for the entirety of the playoffs. However, it just didn’t look that way in the regular season, as the team struggled with injuries and inconsistencies. Still, this is a team with great talents from top to bottom and coached by one of the best minds in the business in Brad Stevens. 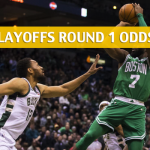 Losing Smart for weeks just before the playoffs throws a wrench to the Celtics’ playoff campaign, but if they could go deep last season without Irving and Hayward, they should be able to navigate their way out, at least, of the first round against a Victor Oladipo-less Indiana Pacers. More experienced this time around, Donovan Mitchell will look to tow the Jazz further than their surprising second-round appearance last year in the playoffs. 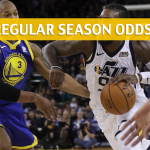 But as good as Mitchell is as an offensive dynamo for Utah, it’s Rudy Gobert and the team’s defense that will likely determine how far the Jazz will go. The Jazz have the second-best defensive rating in the league back in the regular season with just 105.2 points allowed per 100 possessions. 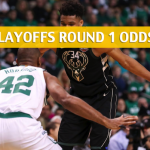 Their defense will be put to the test in the first round against the Houston Rockets, and if they survive that series, they will most likely be meeting the Golden State Warriors in the second round. That’s a hard route to take to the finals, but again, don’t sleep and count out the Jazz just yet. Without an elite player and playing in the toughest conference in the NBA, the Clippers defied the odds and proved their critics wrong by making the playoff cut in the Western Conference. The Clippers were supposed to be the other LA team this season, but Doc Rivers has done an admirable job steering his team. Lou Williams and Danilo Gallinari are not superstars but they get the job done nonetheless. 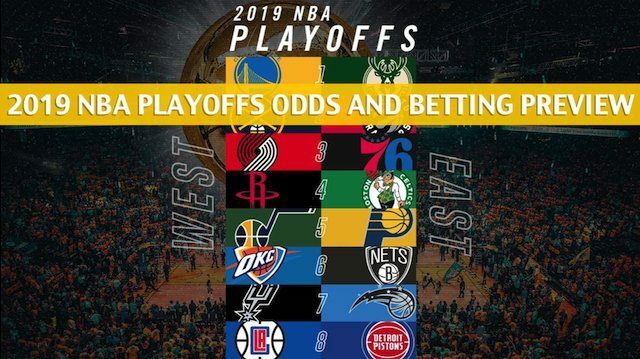 In any case, the Clippers need a bit more luck if they are to survive the first round against the stacked Warriors squad. It’s the same old story in the NBA, as the Warriors successfully defend their title.